Orchid fruits are every bit as beautiful as orchid flowers, I think. 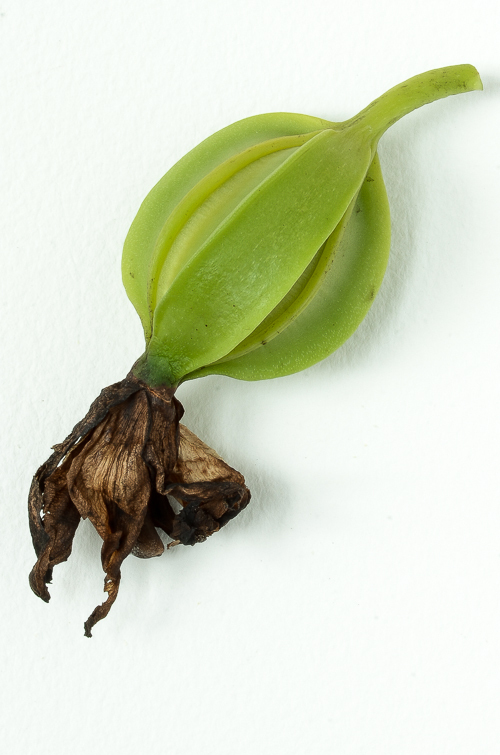 I removed an unripe Cattleya fruit last week and showed it to some of our visitors. You can see the brown withered flower still attached to the far end. In the photo below, peaking out from among the withered petals, is the oval shaped stigmatic surface at the end of the column. An orchid fruit is a capsule, packed with minuscule seeds. Above, I've cut it into cross sections to show its symmetry. 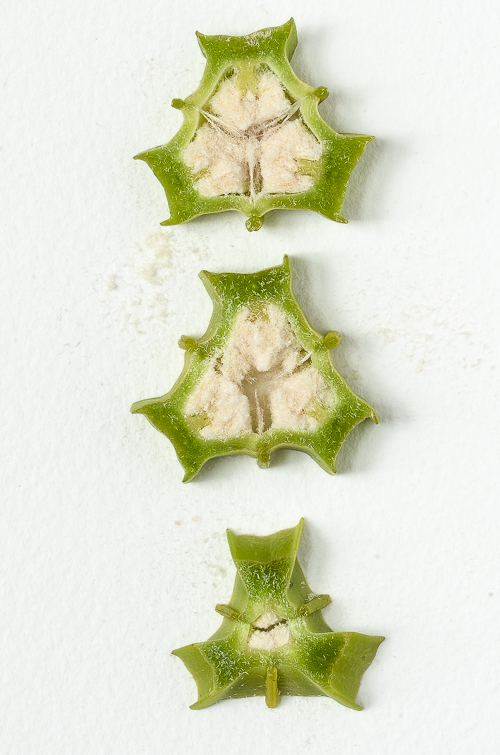 The capsule is divided into three carpels. When a capsule is fully ripe, it splits lengthwise, down the midline of each carpel. Orchid capsules come in a huge variety of sizes and shapes. 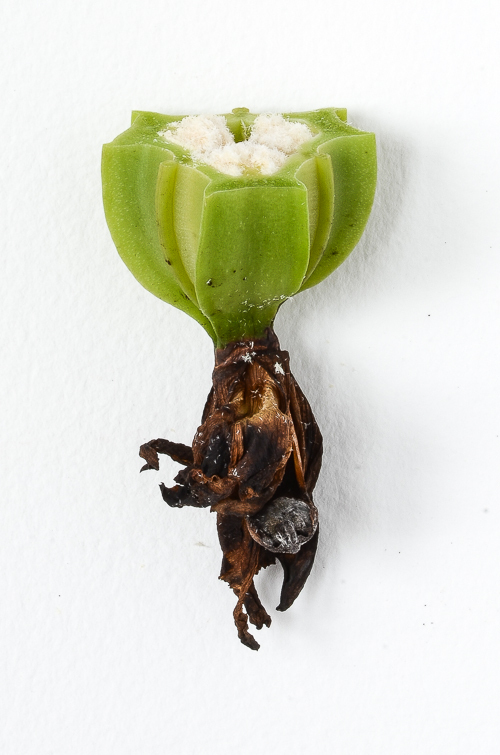 Not all of them are large and fleshy like this Cattleya capsule, but they share the same basic arrangement. Beautiful, isn't it?